In 1972 Marvin Galts and his siblings, along with his wife Chloe, founded the company that eventually became today’s Galko Homes. Over the years, many extended family members have been a part of this company; working in positions from labourers to leaders. 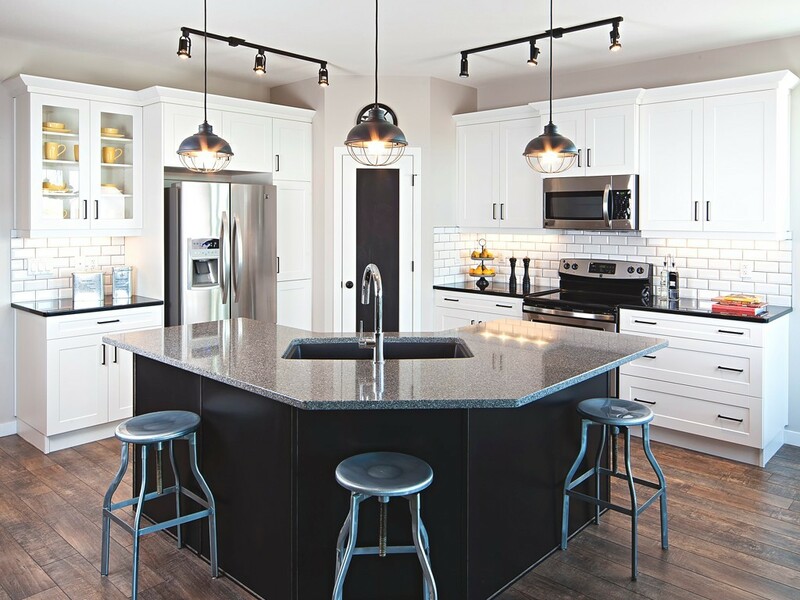 Galko Homes has consistently made a solid contribution to the landscape of Lethbridge through award-winning homebuilding, longstanding business and customer relationships, and community volunteerism. Decades later, the model of family and community participation still holds true under the direction of second generation President, Bruce Galts. Our philosophy is supported not only by the loyalty and superior performance of our sub-trades and suppliers, but also by our entire motivated, service oriented team at Galko Homes. We ensure exceptional service ranging from flexible sales and customer care, architectural design and interior design consultation, superior warranty services, and an overall goal to provide you with a homebuilding experience that, for all of these reasons, is simply better. 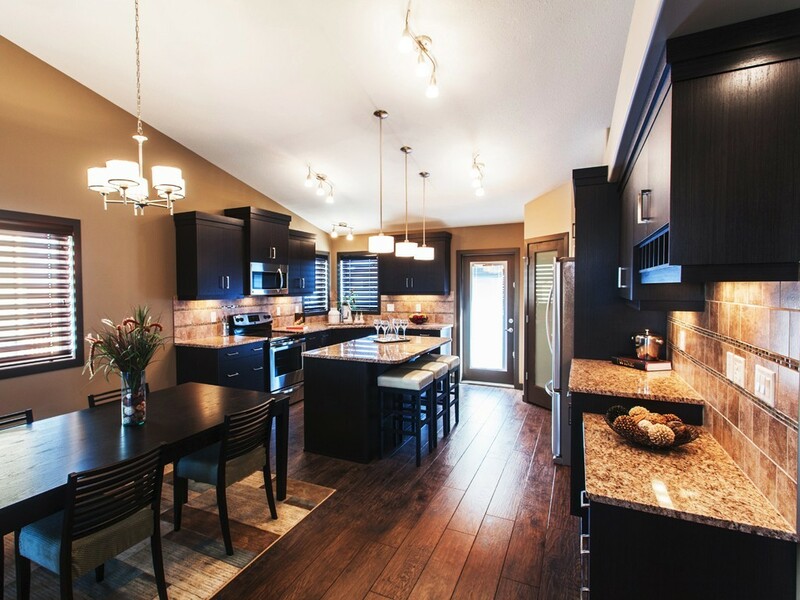 Our reputation as Lethbridge’s premiere homebuilder is based on experience, knowledge and customer service. Whether you’re in the market for a custom-built or pre-designed home, you can rely on the quality craftsmanship, distinct designs and exceptional service that have won us industry praise and customers for life. 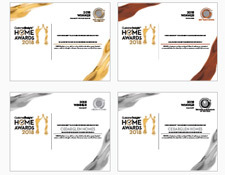 2014 - NEW HOMEBUYERS’ CHOICE AWARDS- 2014 Professional Home Builders Institute of Alberta (PHBI) New Homebuyers’ Choice Award – Southern Alberta Winner – Single Family – 50 – 149 Possessions. 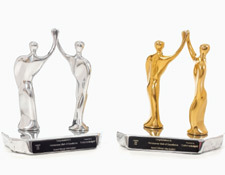 2014 - NEW HOMEBUYERS’ CHOICE AWARDS- 2014 Professional Home Builders Institute of Alberta (PHBI) New Homebuyers’ Choice Award – Southern Alberta Winner – Multi Family 5-49 Possessions. The overall buying experience has been really well. Initial time to get the build started was longer than what was expected even after expectations were established by the sales team. Timeliness of response on some change orders have also taken longer than what was anticipated. Overall really good buying experience. Corey and Bonnie did amazing jobs they went above and beyond to help us out. They made the experience a smooth transition. There were some foundation/grade or perhaps building restriction issues that we were not aware of that resulted in very deep window wells for the lower level. We were disappointed with the outcome, believing with a 9 ft. basement would not have this problem. Appreciated, very much, having a designer to help with design choices. Consultants are all so helpful with any problem and go the extra for us! Galko was a great choice for me because of the people that work for this company. Everybody was very nice and accommodating to our needs. I am glad that I found a good builder. I am hoping they will do a good job at the rescheduled 1 year inspection too. The issue with the toilet has been ongoing and has been fixed by the builder but the problem reoccurs. I just reported it to the builder this morning for attention again for my one-year inspection so they have been trying to correct it; it just doesn't stay fixed. Galko has been easy to work with and listened to any issues I have had. I have no doubt that they will correct any issues that come up. Great team to work with! I would recommend Galko to anyone and everyone, as a 'young couple' buying our first home we felt like we were treated with respect throughout the buying process and throughout the basement development - which is ongoing. Best customer service we've experienced in a long time! The overall experience was very good. Basement took longer to get fixed - a bit of a disconnect with the communication from sales and the team managing things. I understand they are finishing the unit at the mercy of the trades. More communication is needed with the sales and the build team those who actually oversee the construction need to communicate a bit more. It has been a good experience I like the people I met and when they realized there was a problem they fixed it. The sales person, Fae was super helpful, kind, and patient. Fantastic! We purchased from other builders in the past and this was the best experience. Great job to the whole team!! They have been good to deal with. I have other co workers that built through other companies and they don't get near the service I do. From start to finish our experience with Galko was an excellent one. From the very start the sales people Corey and Carrlyn, were more than willing to work with us, to accommodate the adjustments we asked for, more importantly they delivered! Then always a concern about interior decor we were connected with Bonnie. My wife and Bonnie were very much on the same page and we were walked through the colors and design of the our home with ease and no stress. When the dirt was turned and work was started the different trades were more than willing to describe and discuss the status and progress. Day by day it was exciting to watch our house get built. When we build again I would build again with Galko. All in all, we felt included in this process from beginning to the end. we were very impressed with the process and people of Galko. The end result a beautiful house that we now call, HOME! He just had a really good experience dealing with Faye and Blaine both times. Marilyn was amazing! She listened to us, and worked with us on creating our dream home. At the beginning she showed us models after models and always spent time walking through them with us making sure to mention each feature. I can not express how wonderful it was working with her. She stayed with us until the very end even coming to give us a hug and congratulate us on possession day! Thank you Galko (Marilyn) for the wonderful home experience - There were bumps along the way, just like with anything. Ultimately we are thrilled with our home and would certainly recommend the company. Customer service and warranty was raved about during the process but have had some issues with follow through of commitments (ie, front door has taken over a month to be painted; touch ups upon moving in still wait to be done over a month after move in, marked by green tape). Basement development has proceeded fast upon move in and customer service has been good. Issues with trades not arriving to scheduled appointments or communicating as asked. Painter was very rude and dismissive on the phone and has provided sub par quality work in addressing issues and concerns. Communication with the customer care deartment often sees longer wait times than 2-3 business days. General process has been pleasant and standard of work is high just some ball drops that I would not expect from an award winning customer service and warranty team in the first month and a half. It is a great home and the builder was very obliging to all of my concerns. Recommend to anyone a Galko home. 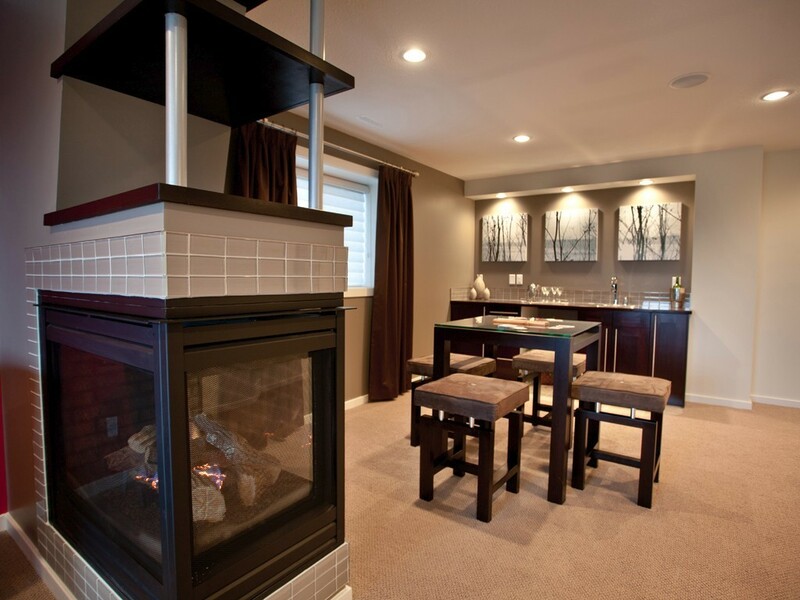 Galko homes has lots of experience and it says something that they have been in the industry for years. They build great homes and take care of their customers. It was good overall. We like the house and layout. Some things took longer to fix and we had to fight a bit to get some things done but it eventually got fixed to our satisfaction. Overall we are pretty happy. All of the Galko employees are amazing in every aspect and can’t say enough about them. Very disappointed in the siding and deck quality and workmanship! Awful dishwasher choice for such a beautiful home. Overall love our new home and will and do suggest Galko to all our family and friends! Our experience with Galko far surpassed our experience with past home building experiences. From our first meeting with the sales rep, Marilyn and Collette, through changes in design features at the design studio with Rebekah and home delivery with Crystal and McKinley we felt like we were valued and our needs were met. The experience was pleasurable and we are thrilled with our purchase. We will build with Galko again in the future. Very pleased with the basement development. Development was done after possession and everyone has been amazing for keeping the dust and debris to a minimum and been great dealing with my dog. Very happy all around. We are so happy with our purchase. So far very happy with Galko. I hope it remain same for many years to come. I’m very happy with my purchase. Overall they did a good job, especially Merylin had a charming ability to find a house matching to our needs and mortgage we got. The rest of the staff are good too, although there were minor misunderstandings during the proceed of basement development. My Wife, son and I are very happy with the home and love the Neighbourhood. We felt it was a good deal and we got great value for the money. A number of extras in the home really made it stand out such as the upgrades to the decor with the Feature wall and glass on the staircase. We love that the front landscaping and Deck were already done. One very nice surprise was the quality of the Washer and Dryer. We didn't specify anything on the contract beyond "Standard White" for those appliances and on the walk through we saw they were very nice high end Samsung. That was really appreciated. Our experience with Galko has been excellent and I will of course recommend Galko homes to friends, family and clients. I would recommend to anyone!! Corey was a pleasure to deal with. Treated us with respect. Answered questions that we had and was very knowledgeable. We have been really happy with them. We have had a couple bigger issues and they have been on the ball getting them fixed. Some have taken a fair amount of time to get fixed but they have gotten them done. Very happy with the work that has been completed; all staff have been professional, polite and very helpful. Only complaint is as the snow has melted in the yard a fair amount of debris and garbage has been observed. Everyone we worked with was extremely friendly and made the process enjoyable despite a few frustrations we had. Marilyn was great to deal with. She went above and beyond what would normally be considered great service. We sold our previous home and had a short possession date. Marilyn was able to help coordinate a quick possession date, assist with banking needs and make the experience run smoothly. You have a very good sales team and warranty person. The lady Dani that fixes all of the repairs is the best ever. I answered some of the questions n/A because we have not had any experience with people coming into our home to do warranty work this will come. So it is difficult for me to give an opionion at this point. So far it has been a better experience than I ever thought it would be . We are very satisfied with the quality of the home and it's unique exterior design. We have also been continually impressed by the extremely high level of professionalism exhibited by all Galko employees. They have a great customer service acumen and we really do sense that they care about their product and the people that purchase their homes. This is greatly appreciated! Great home buying experience! Every staff member I have talked to or dealt with has been amazing. Great quality and price, and superior customer care! Corey has been wonderful for this whole process! We really appreciate all of his hard work! He went above and beyond to make sure we are happy. Outstanding! We really love Galko, and would buy from them again. We often recommend Galko to friends and family. Our experience has been awesome with Galko. We do not have one complaint about their service after we purchased the house and also the overall quality of the house itself. Most builders we believe are basically using the same types of products to construct their homes but the difference is when the builder needs to come back and fix a problem. Not once in the past year did we ever feel that Galko was putting us off or not willing to come and fix the problem or at least come and see what our concern actually was. Excellent service. We will continue and have already recommended this builder to our family and others. I like my home. If I was able to add any features I would have upgraded...More potlights, 36 inch spot for fridge, better quality carpeting, hardie board siding, and better stairs, railings for front entrance. I think there is alot of quality in my home, over all workmanship is good and Galko people have been very accommodating and pleasant. I am happy with my purchase and hope to be here for many years. Ron has been great with us and our home throughout these couple of years. I have appreciated the help we have received for any concerns I had. Marilyn our Sales Rep was great to deal with. I would recommend her to any of my friends and relatives. She was always very prompt on returning our texts or e-mails, very knowledgeable about what Galko had to offer. Ron was also a great asset to your company. He made sure all of our concerns were taken care of. Good job guys! Pleasure working with you!!! We love our Galko Home!!!!!! Thanks for everything!!!!! Marilyn, Ron and Crystal have been really great in this whole process! We were and are very impressed with the care that we've received. Everyone is really on the ball, and there to answer any questions or concerns that we may have. We have throughly enjoyed our experience with Galko Homes. We love our home and are grateful for the excellent service they have provided us. Corey Ginther has been excellent. In fact, all Galko personnel have been professional and prompt. Galko was fantastic. We recommend them to friends all the time. They are good at keeping in contact us and they try to make appointments around our schedule and we really appreciate that. Trades were awesome when developing basement while we lived here! It seemed liked the basement completion was rushed to accommodate our move in date. We would have preferred that if more time was needed that the time was taken so there would have been fewer deficiencies. Saying this, our after sales representative has been a pleasure to deal with. We fully realize he can't be there watching over the workers in the house at all times. Ron has a great personality for his role and we appreciate his knowledge and interpersonal skills. The soundproofing between units could be improved upon and the suite doors should be keyed separately in the legally suited homes. Also just a note for future reference, the washer and dryer set comes with the doors installed anticipating a side-by-side use (doors swing in opposite directions), when installing them in the stackable orientation the doors need to swing in the same direction to allow ease of movement wile switching loads. Both stackable laundry sets in my house as well as the other houses I looked at had the door swings set up for side-by-side orientation. I was able to reverse the door swings on the dryers but it would be nice if they came that way to start with. Kirby and Ron work for the customers best interests. Rebekah was very helpful and had great ideas about design and colors. She advised us of where our decisions fell within our tier package. "We are not people that purchase homes often and felt that we where not taken advantage of or misled in anyway, exactly the opposite. You have quality people working at Galko and it is obvious to us that Galko Homes plays a huge part in the quality of support they provide to there employees which we believe in our case has been shared right down to us as the home owner. We will and have shared our positive experience with family and friends. 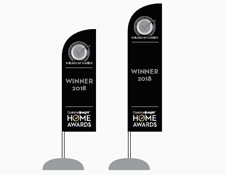 We also wanted to mention that your team feels very proud of their homes and seem to truly have some type of pride and ownership that is unique. The possession day was very emotional for us and your team really made it special. As we drove up to the home, the signage and extra touch was heart warming and not expected. Galko representatives worked very well with our real state team. We did not know if we needed a relator or not. We have found the landscape grade to be a challenge and almost everyone we talk to in the trade including the city of Lethbridge land development team states that the front grade is extreme and will require some grade changes to provide access to the back yard, fence, gate, and transition to the yard. Galko did seem to be unwilling to help us with this right from the start, saying that it met local standards. As we understand the grade standards it meets the standard related to potential water flow away from the home and that It would not affect the neighbours homes. It does seem that more could be done to help us with this. Really our only disappointment over all." Ron has been very good to work with also and I think if I have any problems in the future, I feel he will assist me. "We were very well taken care of. When we purchased the house we were still living in another city. The first contact we met face to face was McKinley Pavan. She was extremely friendly and knowledgeable. She helped reinforce the quality of service we would receive from Galko. Amy was in the Show Home with McKinley and added to our positive buying experience. Don (the repairman/man of all trades) did an awesome job as well. The rest of their team were very personable and did very good work. The customer experience manager, Ron Tyslau was quick to address any issues we had. He was very professional and friendly. The sub-trades were prompt when addressing concerns. All in all this was an excellent buying experience. We felt as if all of the staff treated our home as if it were their home." We would like to take this time to talk about RON, and his amazing service. He is always cheerful, polite, professional, and always on time for appointments. We can always reach Ron when we need help or need to ask a question. Ron has always went over and above for our family. A time we would like to share about Ron was his patience and understanding about an issue with our railing. It was an unfortunate situation our railing was scratched, and we were not going to accept that as it was a feature point in the home. We were very upset with the paint company at the time. He remained polite, and made sure that we had only the best team come in and take the railing apart and re do the entire piece. So thank you Ron, and we are pleased we are able to continue to work with Ron! The builder is good it's just that the third party contractors are where the problems lie. They should maybe ask the customers if they are satisfied with the service that they are getting from the contractors. If people aren't happy then maybe they should take a closer look at the contractor. "The team that worked with us was outstanding and very very responsive (Kirby, Ron and Bonnie). Any mistakes that were made along the way, which is common during building, were more than made up for and were often brought to our attention before we even noticed them. They were always super friendly and very easy to talk too. We always felt like we were the only customer they had even though we know Galko builds many homes. Disappointed that we have problems with our appliances already only 40 days after moving in." We have been very pleased to work with Galko and we mention Marilyn and the team whenever we know of somebody looking to buy or build new. They have been excellent in terms of dealing with our warranty items; I don't think they could have been more efficient in taking care of the deficiencies. Given how big a house is and how many different components there are involved there has been nothing serious to speak of which speaks to a well-built home. Everyone involved in the purchase and changes made prior to my taking possession of my home was wonderful (Jody, Barry, Greg, Norb, Rebekah, Bev, Brad, Sherry, Susan and Bruce). Very pleasant, courteous and knowledgeable, always willing to answer any questions I had. Galko were generally very responsive to our situation, which was not always clear or easy. We appreciate their help and consideration throughout the purchase process. "Overall my husband and I have been very satisfied with the quality of home we received and the effort by Galko to resolve any issues that have come up. When my husband expressed concern (on my behalf) about the counter tops Galko offered to make it right some other way. I had wanted to let Galko know that I had issues not to get anything but to inform the builder about the low quality of materials used. We were both very appreciative of how Galko and Ron went above and beyond, offering to compensate us in another way. Everything else that has been noted during the warranty walk through has been addressed and resolved in a timely manner. "No concerns, we would buy a Galko home again. Ron has been excellent when taking care of us , Carolynn has been extreme efficient and friendly, Don has always been helpful. Ron does a great Job! Customer relations has been great. He understands and considers our concerns and opinions, even if they have been particular! Once you have registered, CustomerInsight will send an invoice which will be due prior to February 10th. Payment can be made via Cheque or EFT. Please check on the boxes below to select entries. I certify that the entry sent along with this form and all information provided here in is true and correct. I have read, understand and will abide by the rules and regulations as set forth by the H.O.M.E. 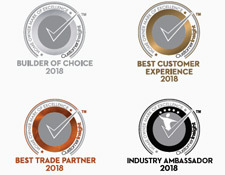 Awards and by the decisions of CustomerInsight. Thank You For Your Award Entry! You will receive e-mail confirmation from one of our associates once the information you provided is reviewed and validated. Please note that our 2018 event is now sold out. Please contact us to be placed on the waiting list. Thank you. Please fill the fields below to order your extra copies of your H.O.M.E. trophy, certificates, flags and window/vehicle decals. 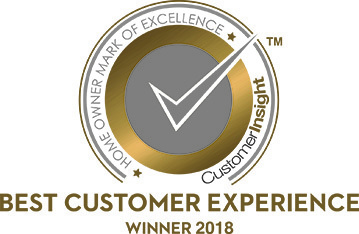 The Home Owner Mark of Excellence is an independent certification program created by CustomerInsightTM, and driven by the voice of the customer. H.O.M.E. provides you with select group of builders who not only achieve, but also maintain outstanding customer experience results. No other research company or website gives you the transparency you want when choosing the best company or advisor. Weather your are looking for a new builder, renovator, trade, supplier or Realtor, H.O.M.E. provides you with a list of Customer Certified companies as rated by customers just like you. All statements, scores, referrals, videos, and other information are real and validated by CustomerInsight, the largest customer satisfaction research firm in the industry. We know how important and valuable your time is when searching for a professional, customer-centric organization and that’s why H.O.M.E. only provides you with Customer-CertifiedTM companies and registered through CustomerInsight. Want To Become A Customer-CertifiedTM Professional? You can also create an account using a Facebook or Google+ valid e-mail address. Could You Find The Builder You Were Looking for? Thank You For Creating An Account! Would You Recommend This Builder To Others? Your review will be posted once it is validated in our system.